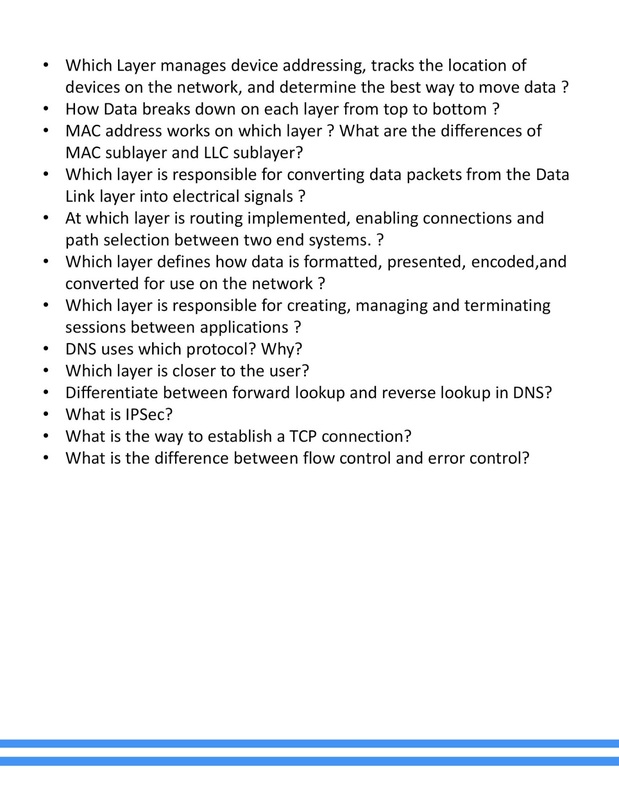 OSI Model Interview Questions - CCNA Academy-a Free CCNA Tutorials. Study CCNA for free! The Open Systems Interconnection Model (OSI) was created by the International Organization for Standardization (ISO), the international standardization body. It was designed as a reference model for describing the functions of the communication system. The OSI model provides the basis for creating and implementing network standards and devices and describes how network applications on different computers can interact through networked media. It has seven levels, each layer describes another function of the data passing through the network.